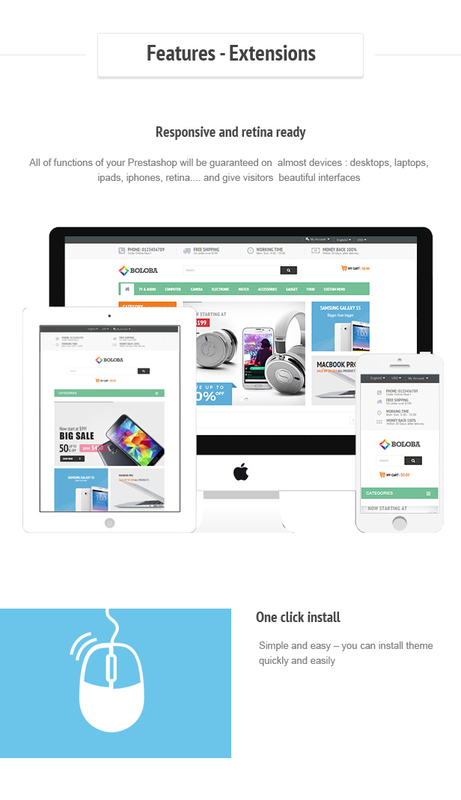 Boloba digital prestashop theme is designed for digital, high-tech, electronics, mobiles, laptops stores. Boloba is looking good with green color and 2 homepage layouts. 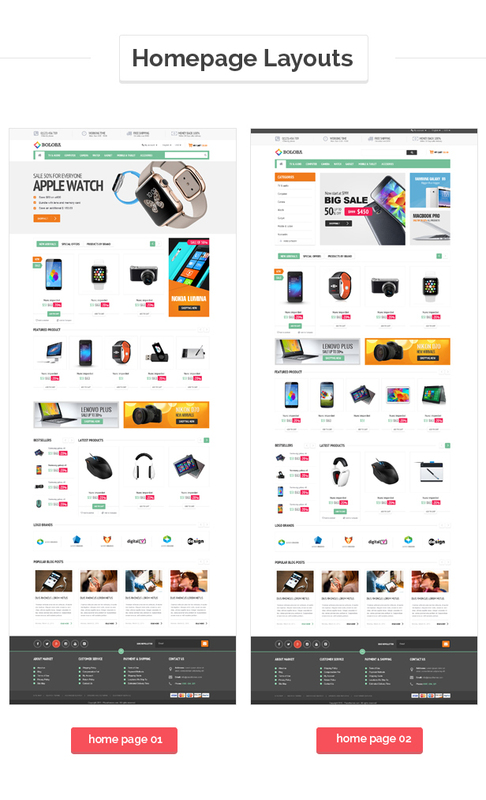 Built using Bootstrap 3 framework and integrated with many prestashop extensions. 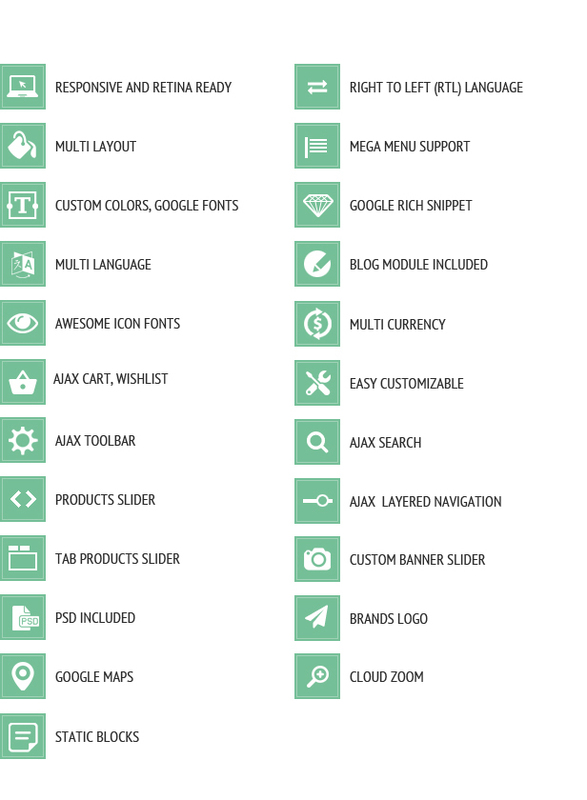 Megamenu module contains a lot of categories arranged logically in many columns. Banner Sequence are arranged below megamenu with large images and simple effects, smooth transitions which help shopkeepers advertise highlights products. Vertical Megamenu arranges products categories clearly in vertical direction. 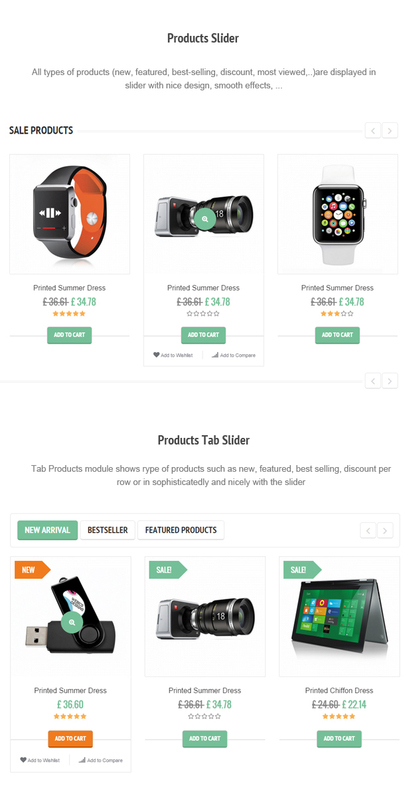 Each type of products are displayed in slider in each tab such as new, bestselling, featured with Product Tabs Slider extension. 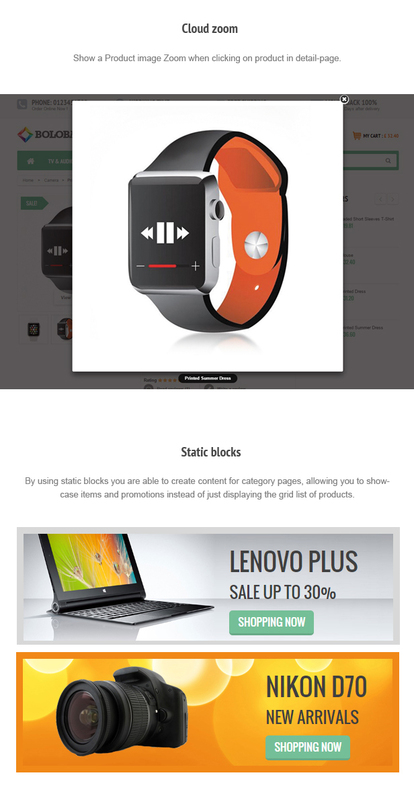 Beside, brand slider extension displays brands, logos which you want to advertise. 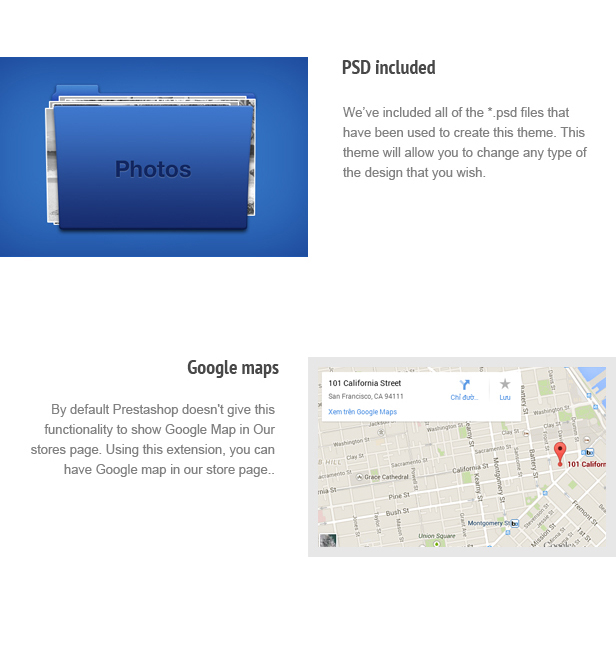 Ajax layered navigation, Ajax add to cart help customers purchase faster and more easily. Blog brings shopkeepers and customers closer. Customers can update new products, latest news, send feedbacks, comments or even advertise your stores via posts. 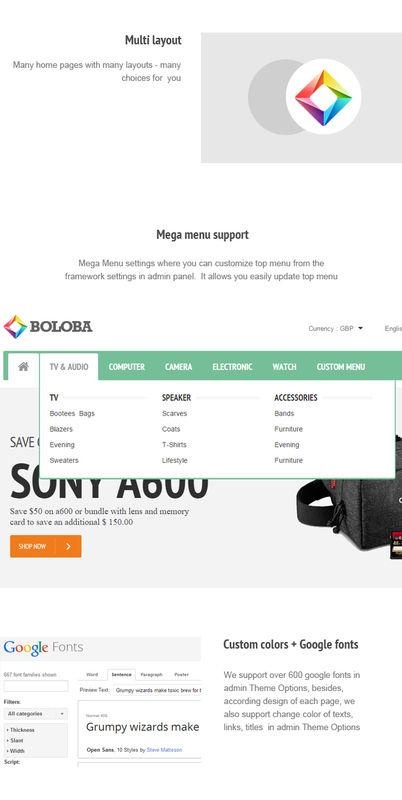 In addition, we have added RTL language support for some special languages that allows you to easily switch the text direction of the Boloba theme. Let’s come with us and discovery our big templates!! !